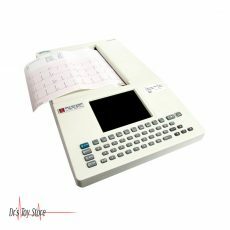 SCHILLER’s latest innovation is ultra portable, has an intuitive 8-inch high-resolution multi-touch screen, an integrated thermal printer and is FDA approved. 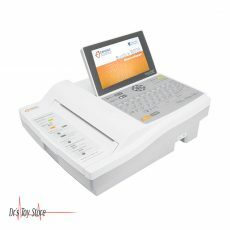 Designed for users who value state-of-the-art technology, the CARDIOVIT FT-1 is a networked device providing connectivity and a paperless workflow. reports directly on the PC. The CARDIOVIT FT-1 is an ultra-portable device, weighing just over a kilo including the battery. 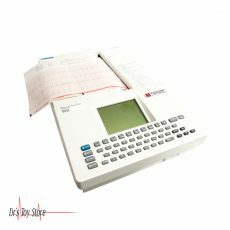 The 8-inch high-resolution multi-touch screen can be operated with a simple swipe gesture. The completely flat and closed surface of the device is very easy to clean and highly hygienic. 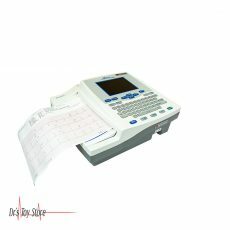 Bidirectional communication allows for easy data access via worklist or PDQ, and fast transmission of ECG reports to EMR/HIS systems. 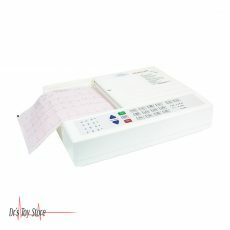 Connectivity through secure WiFi protocols, combined with ECG review on display and a large memory, supports reliable paperless workflows and cost saving. 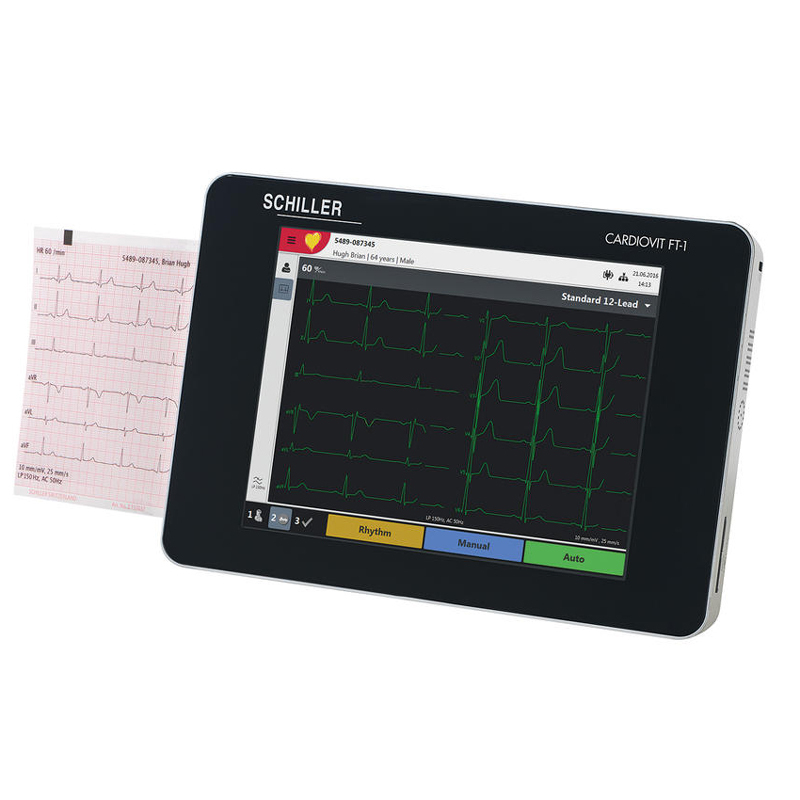 SCHILLER LINK: Easy-to-use software to import patient data from the EMR system and export customized PDF reports directly on the PC. 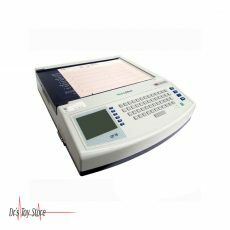 HIGHLY ACCURATE DIAGNOSES SCHILLER’s most advanced algorithms are implemented in the CARDIOVIT FT-1. 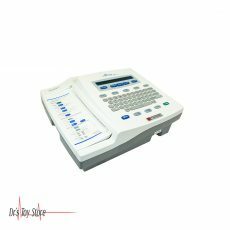 PAEDIATRIC ECG: Thanks to very high sampling frequency and a large frequency band, the CARDIOVIT FT-1 offers optimal signal quality which makes it the ideal tool for paediatric ECG. RESTING RHYTHM: The FT-1 records all 12 channels for up to 4 minutes. This reduces the risk that important rhythm data might be overlooked. The recordings can be printed, stored, reviewed and transmitted. 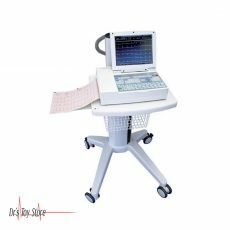 ETM with ETM Sport: One of the industry’s most renowned, simultaneous 12-lead ECG interpretation programs for uncompromising quality and reliability. 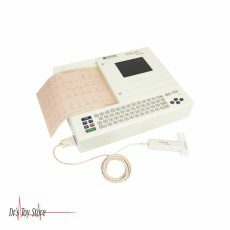 ETM Sport is the first automated ECG interpretation module designed for athletes, based on the Seattle Criteria. CCAA: SCHILLER’s Culprit Coronary Artery Algorithm is used in emergency departments and outside the hospital whenever a fast decision on chest pain is required immediately. It locates the obstruction site in the coronary artery and thereby the size of the cardiac area at risk.